Click the Analysis item in the tree view under results and choose a function from the predefined list or create your own one. The predefined functions have a short description. They virtually divide the full test time into a number of periods with the equal length. After that they perform the analysis of each period. You can use the predefined functions to construct your own ones for similar purposes. 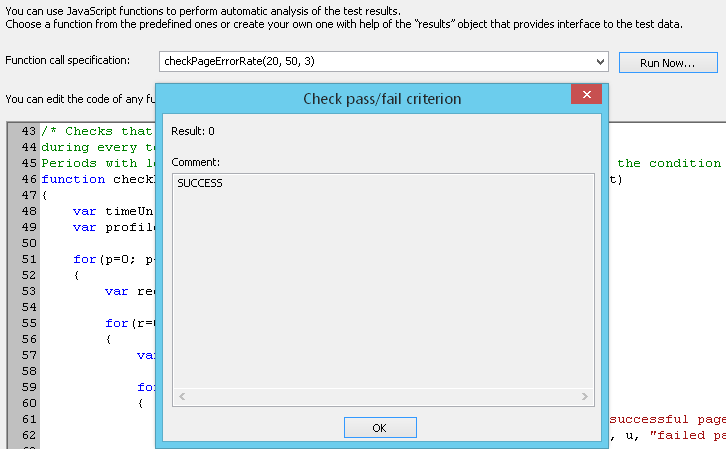 Use the results object that provides an interface to the test data. To run the results analysis using one of the specified functions, enter the function name in the Function call specification field and click the Run Now button. In the displayed dialog you can see the result of verification. 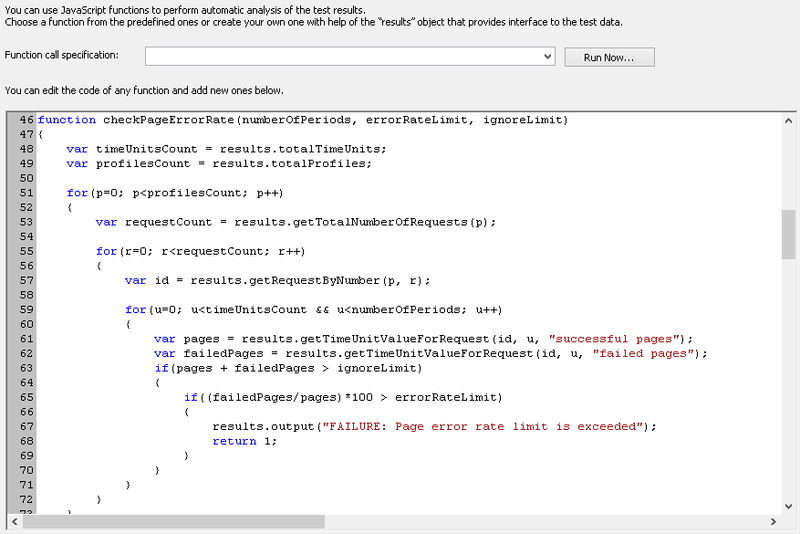 Below is an example of running the results analysis using the checkPageErrorRate function. It checks that the page error rate for each request, in every profile, during every test period stays below the specified limit. This function returns zero if the condition is met.